Kali and Ponnayi are a childless couple living in a society where the taunts, insults and innuendos are free flowing. Help and advice come in many forms to them, some well intentioned, some plain sadistic. Ponna is made to drink bitter infusions made with neem leaves that are handed to her by an ‘auspicious’ widow. (Isn’t neem a contraceptive?) She has men making not-so-subtle suggestions offering their services. She does a Fear Factor level walk on a dangerous rock near a temple to bribe the gods. She is deemed unfit for motherhood because she found the stink of a baby’s feces repulsive. Surprisingly, she isn’t the only one to be ‘blamed’ here. Though Kali is constantly under the pressure to take a second wife, he is also equally taunted for his ‘impotence’. He has everyone from cousins to random neighbours hoping to dip their fingers into his heirless property after his death. More than his love for Ponna, it is the fear of confirming this impotence that doesn’t allow him to marry again. Afterall, it was his ancestors who raped a tribal girl and incurred her curse. Yes. It is a difficult life being childless in such a society in that era. Any society in any era actually. So what does one do when the gods want more than rooster blood and arrack? What does one do when the gods want more than a dangerous walk around their temple? What does one do when the gods want more than your prayers? You have to look beyond god. You have to look at man. Another man. Do it with him thinking of him as god. Kunti did that, Madri did that. Oh wait. That was vice versa. But anyway. Apparently, the results are guaranteed here. And this is what Ponna’s mother and mother-in-law finally suggest. Does she do it? On the fourteenth day of the temple festival, that day when all married women above thirty get the sanction of the gods to lay with random strangers and bring forth ‘god’s children’ into the world. Does she do it? Does she manage to look beyond the face of her husband, look beyond her fears, look beyond society’s taunts and find a god to do it with? Since I was waiting for the ‘controversial’ part, I did not take the time to savour the book as much I should have. The narration went back and forth a lot, sometimes confusing. Characters like the bachelor uncle Nallupayyan who gave the whole drama the much needed sane voice and Muthu, Ponna’s brother, who took Kali to the same temple festival years ago to ‘offer their services’ give you an insight into the hypocrisy of it all. Small but sharp references to the caste equations in that society add a dash of sting. During the build up to the climax, when Ponna sits in the cart looking at the Chakkli man’s baby with so much longing, I hoped that the story would take a more ‘scandalous’ twist. But I was disappointed. A good book. Not a great book, and in my opinion it was not a shocking book. But a good book, so read it. If not for anything else, atleast for the sake of supporting freedom of expression. Because is a thing these days. ‘Whenever I pass a temple, I touch my throat and then touch my lips with my index and middle finger. That is how my two babies were born’ I just remembered someone tweeting that long ago. And whenever a topic about childlessness comes up, I can’t help but remember We Need to Talk About Kevin. Unrelated to this book, but the thought just crossed my mind. There are two sequels to this book. Would love to read them soon. Someone please translate. 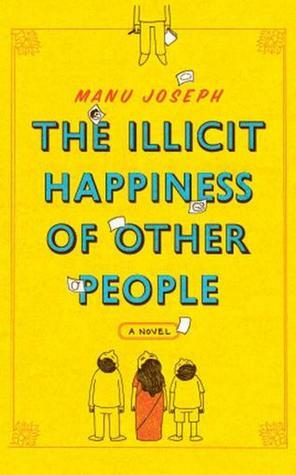 Actually, this book ran in my head as a Rajnikanth movie. Rajni is Prince Khurram and Mehrunissa is the classic arrogant female antagonist who stands up against him. And in the end, Khurram wins the story and mouths a punch dialogue ‘Adhigama aasai padra pombalai nalla irundhadha sarithram illai’ and rides away into the sunset on a white horse, with Arjumand clinging onto him. But Mehrunissa has the last laugh anyway. Read the book to know why. The romantic Mehrunissa from The Twentieth Wife becomes the power hungry Empress of Hindustan in this book. She has Jahangir under her thumb and is the Sonia to Jahangir’s MMS now. She rules the empire from behind the veil. I’m not sure if I should like such a woman though. I liked her competitiveness at first, the way she was determined to become an expert hunter after that failed hunting trip where she lost to Jagat Gosni in shooting a drugged lion ( ugh. *that* was how those people hunted? What bravery ) I even liked that junta she formed, clever woman. And the way she got her way with the Portugese and sided with the English too. But when she pimped her daughter out to marry Khurram, Khusrau and finally Sharyar, she crashed from that pedestal I had put her on. Woman, is power that important to you? Ok. Maybe such relationships were allowed in that era, but your daughter marrying your husband’s son , the one who is the husband of your own niece? Ewwww. I felt sorry for Ladli, such a gentle thing , resigned to her fate. Who in the end just wants her baby to be a girl so that it will not be involved in the ugly game to the throne. And when Mehrunissa expressed such resentment when the baby turned out to be a girl, a fresh wave of anger swept over me. I hated her a little more. Two scenes in the book that were so big budget that I would love to see them on the big screen. The live chess scene with baby elephants where she checkmates a nervous Mahabat Khan had so much attitude. Whatte woman, I thought. And the Feast of Roses scene where she walks on a bed of rose petals and allows Jahangir to forgive her ( apologise). That reminded me so much of a certain politician who had the roads paved with flower petals when she visited the Nilgiris in 1993, bringing traffic to a halt. I saw the same ego, arrogance and god complex in Mehrunissa in that scene. The book got a little draggy when the Portugese and English came in. It took away the beauty of the Mughal empire and became dry and political. (Would history have been different if Nur Jahan hadn’t supported the English like she did?) Same with the wars, I rushed through those parts. But it got back on track again with the unintended coup and the final chase to the throne. Survival of the fittest. Who would have thunk that the romantic Shah Jahan could execute his competitors in such cold blood. But hey, all’s fair in love and war. I’ll give it a short break before I start the third book, The Shadow Princess. I don’t want to OD. But I’m ready for a Darlymple again now. Mughal history has me hooked. Ok. Dinanath Batra, your move. I somehow don’t like Sidin. Maybe because I found his Dork book painfully unfunny or maybe because he didn’t reply to me on Twitter once. But I find him overrated (As an author. I still like his tweets). So I was not planning on liking this book and was gleefully looking forward to tear apart all those glowing five star ratings. Too bad. I liked it. I won’t give it Five Stars, but maybe I’ll give it a Perk. You’re not a True Patriotic Indian if you haven’t received one of those emails with India Facts that you have to forward to all True Patriotic Indians if you are a True Patriotic Indian. You get bite sized pieces of those facts on Whatsapp these days. I delete such emails without opening them and have even sent some of my Patriotic friends permanently to the spam folder. 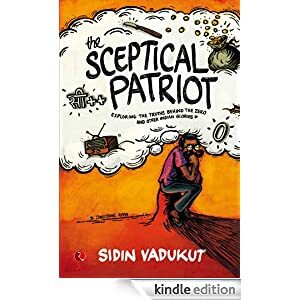 So just when I was about to tick the box that said False Patriot against my ‘Level of Patriotism’ , Sidin thankfully gives me another option . One that I can comfortably tick, guilt free: Sceptical Patriot. Yes, the book does meander and digress a lot. There’s quite a bit of unrelated personal stories that gives the book a blogposty feel. But forgiven. He doesn’t claim to be writing as a fuddy duddy serious historian and some chuckles are needed to break the academic feel of the topics. There is so much that has been covered and it seems really researched, not just Google researched. Was Sushruta the person behind Michael Jackson or Sridevi’s nose? Did Marconi steal the thunder from Jagdish Chandra Bose? Should we blame ancient Indians for placing Zero in the dangerous hands of Kapil Sibal? Was the whole world at Takshashila long long long before they were at Shardha University? (And oh. Takshashila is not in Bihar). Was ancient India richer than Mukesh Ambani or Sonia Gandhi? Would I have been less intimidated by computerese if my developers used Sanskrit instead of Java? All these questions have answers. Interesting answers. Medicine, economics, physics, history, geography, the range of topics covered seems a bit ambitious. But everything is served in Baby Bear portions, just right. The scorecards at the end of each chapter had me nodding in agreement. But he has been too politically correct. Come on Sidin, waiting for spicier topics in your next book. Like Tejomahalaya or this or this. And while you’re at it, please tell me what will happen if I drink Coca Cola with Mentos inside the ATM and then enter my PIN backwards. Nothing fine or balanced here. Nothing. This book should have been called Such a Long Journey. A long uphill journey where every step those four people take upwards, they are dragged two steps down. As crazy as it sounds, The Emergency fascinates me. Mainly because I am not able to understand how, just how it could have happened, how the country could have let it happen. So much horror. Last month, on the anniversary of that dark period that India went through, pictures of Modi and Subramaniam Swamy disguised as Sikhs were doing the rounds. Ironic, given that 9 years later, Sikhs would shave off their beards and discard their turbans to escape death. People frustrated with government offices these days still invoke the time when everyone, right from the peon to the officers, were at their desks at 9 am sharp. But these memories are from those who lived sheltered lives back then. Like Nusswan and Mrs. Gupta. Not those who experienced the other side of The Emergency coin. Like Ishvar and Om. That unfine imbalance. No hope. Only despair. A middle aged Parsi widow, trying to keep her head above water to remain independent from her uncaring brother. A man whose father defied his Village by The River and dared to do the unthinkable : turn cobblers into tailors. A young boy, the second generation of the Mochi- turned- Darji family. Another young boy uprooted from his peaceful mountains and thrown into the City by the Sea by his well-intentioned but stubborn parents. This unlikely foursome is brought together by destiny and torn apart by fate, the inevitable fate. Every single character made a deep impact on me. The grateful Ashraf Chacha and that neighbourhood, the revolutionary college boy fighting The System, be it the college canteen caterer or the Prime Minister, the good-bad Beggarmaster, the happy legless beggar Shankar, the repentant rent collector, the Monkey man, his monkeys and that prophecy, the hair seller who keeps rising from his ashes, the policeman Kesar who does what good he can do with his system-tied hands. Everyone is a piece in a jigsaw puzzle that falls together to create a picture of Reality. Turn the jigsaw puzzle over and it forms another picture of Reality with insensitive Nusswan, the shallow Sodawallas, the cold Mrs. Gupta , a sympathetic but judgy Zenobia, the clueless Kohlahs, the faceless Landlord, Thakur Dharamsi and the unnamed Prime Minister and Her Son. I didn’t realise that this book was 600+ pages long , it just kept me going and going on the Kindle. It wasn’t enough. I read the last few pages again and again, trying to find some hidden ray of hope. There was no hope, but there was no despair too. The small but sweet victory in the end was significant enough. Acceptance, the midpoint between hope and despair. Or the sweet release of Death. I felt an impotent anger throughout the book . An anger towards the unfairness of it all. Many things in this book kept drawing me to Today and it shames me to realise that nothing has actually changed since 1975. The slums remain, they have grown in size and not a whisper when they are razed to the ground; outrage is reserved only for illegal Campa Cola flats. Caste still makes girls swing lifeless from mango trees, gets children’s body parts cut off. Caste still draws crowds to the polling booths where a lone Narayan continues to defy once in a while and is nipped in the bud. Legless beggars continue to roll on wooden platforms, women with babies unrelated to them still tap on tinted glass windows at traffic signals, cars still run over pavement dwellers. Women burn midnight oil, sewing buttons and glitter on dresses that will sell in far off countries with a price tag more than their yearly wages. Politicians continue to recruit audience by the busload,claiming to be their servant, promising them that old promises will be kept. Spending Rs. 47 a day puts people in the Not-Poor list. And the imbalance continues. Maybe it should have been three different books. A trilogy or something. Chevathar. Having watched endless Tamil movies with caste wars, this part of the book played in my head as a Thevar Magan-like movie with Kamal Hassan playing Solomon Dorai and Napolean as Muthu Vedhar. Detailed descriptions and lyrical prose bring the entire village to life, but somehow, the characters fail to linger in your mind. Solomon isn’t built on a solid foundation. His role in the book ends too quickly and though it is his legacy that is supposedly carried over in the next two sections, you don’t feel his presence anywhere. I expected a little more about Joshua, but he came and went in a flash. It is strange that caste wars don’t get even a passing mention in the other two sections of the book. Doraipuram. The only character I really liked was Aaron. The accidental Freedom Fighter. Daniel wasn’t a well chalked out character. I couldn’t place what exactly he was or what he wanted to be. Did he want to be the thalaivar or not? Was Doraipuram his dream or his ego trip? Was he a dedicated doctor or just an eccentric rich man who got lucky? It seemed very contrived, the way the settlement was built and populated. Characters just popped in and out without giving you the opportunity to actually know them. That gossiping woman who had an entire chapter dedicated to her, I read the book two days ago but seem to have forgotten her name already. Such forgettable pieces of characters. Pulimed. Was the tiger woven into the tale just to give the name of the place more impact? Or did the author just remember the Jim Corbett book he read long ago and decide to plug it in? If this had been a separate book, it would have had more weight. The brown man in a white man’s domain with an inbetween wife having an identity crisis. Life in a remote tea estate tucked in a corner of South India when Britain was at war and India was on the cusp of independence was very well described. But again, Kannan aka Thirumoolan isn’t someone you’d remember or quote long after you’ve finished the book. A lot of Tamil words and references have been peppered in. I wonder how non Tamil readers, leave alone non Indian readers can relate. Calling this book an epic or a saga or any other cliched term is an exaggeration, but it is worth a read if you have a lot of time and no expectations.